Our Porirua.com is the hub website for the Our Porirua Group. It draws content from all sites in the group. 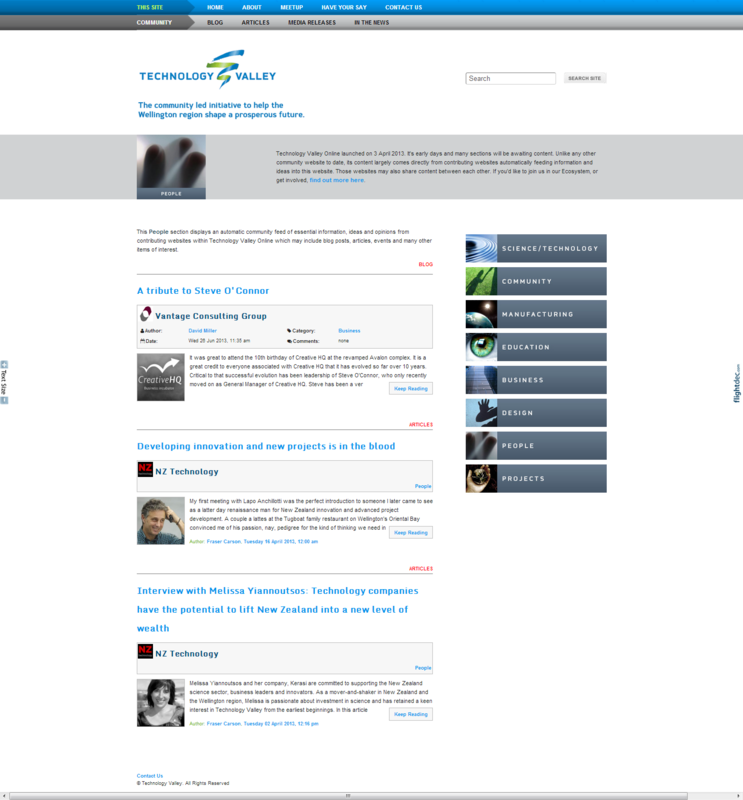 Issues.co.nz Index Display Page which receives topic specific content and broadcasts it out to other groups. Technology Valley.co.nz is the hub website for the Technology Valley Group. It draws content from all sites in the group. 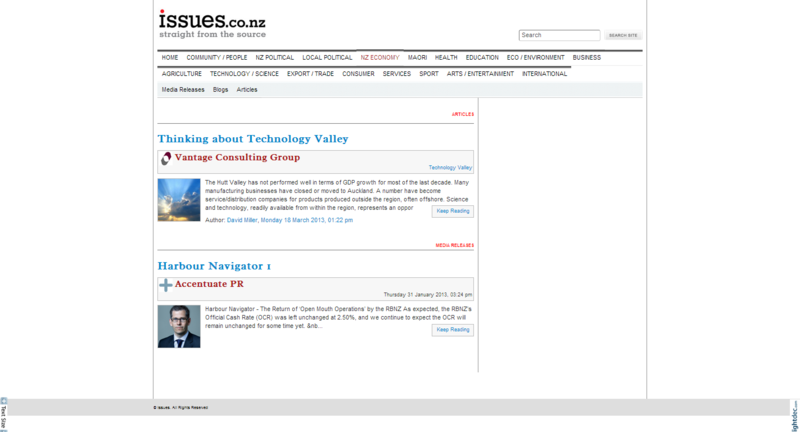 An Index Display Page in Technology Valley.co.nz presenting content from various websites in the Technology Valley Group. Original generation time 1.0938 seconds. Cache Loaded in: 0.0265 seconds.